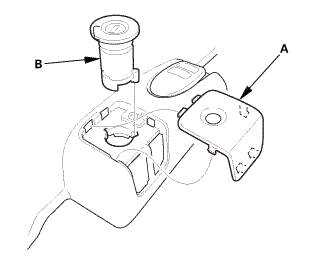 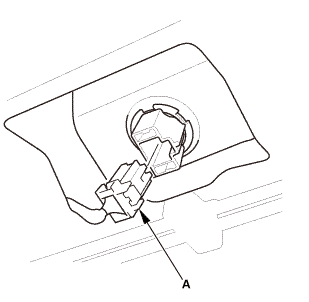 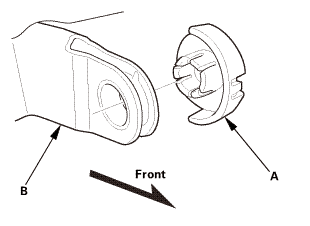 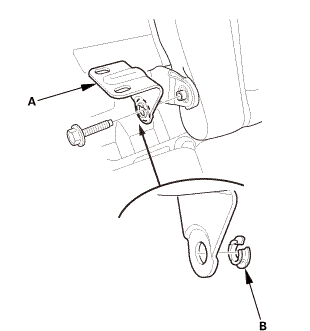 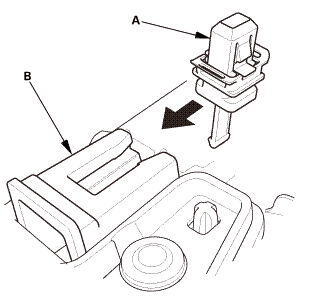 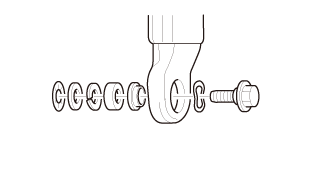 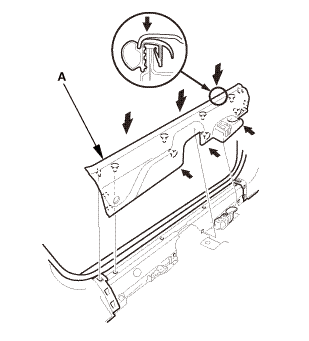 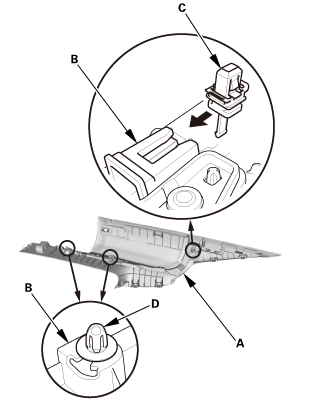 If necessary, remove the bushing (A) from the center pivot bracket (B). 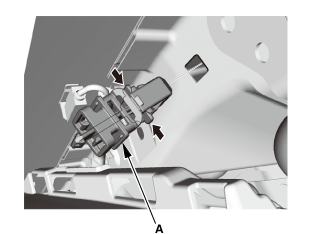 Remove the pivot bracket (A). 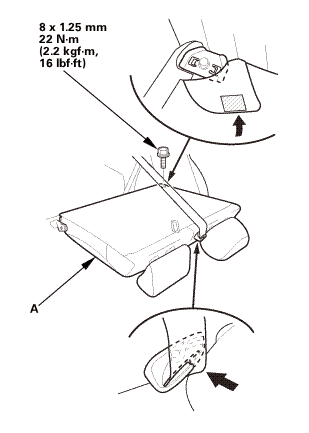 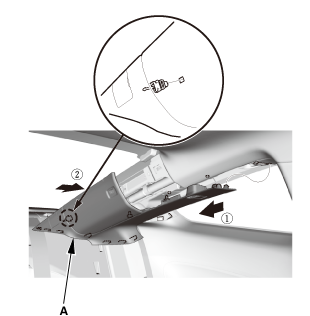 Install the pivot bracket (A). 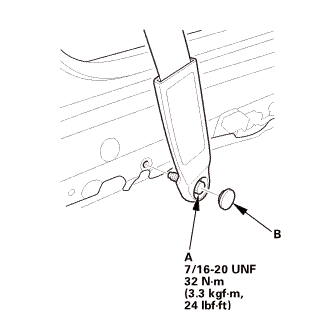 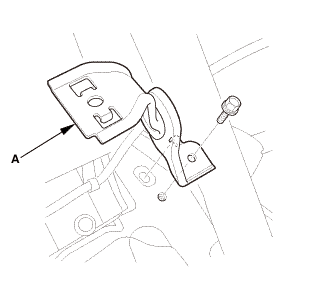 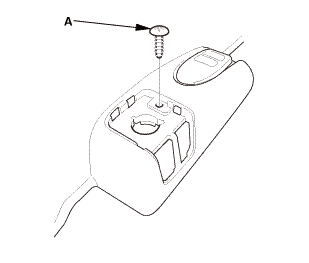 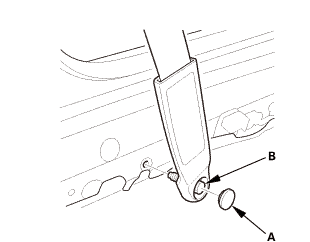 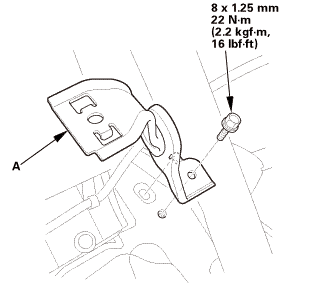 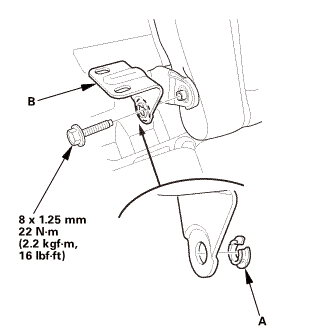 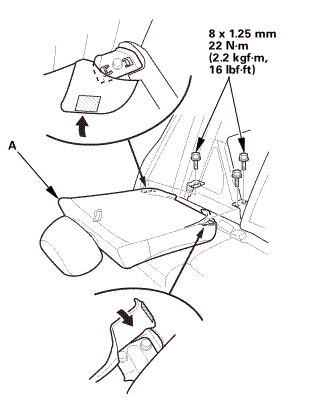 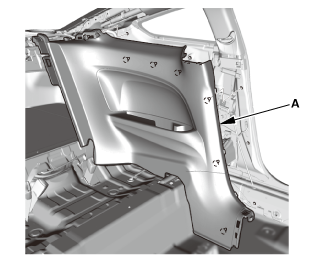 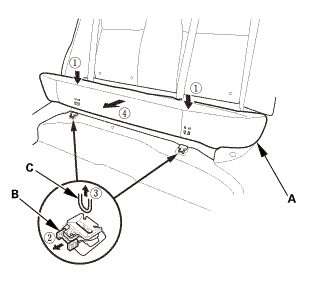 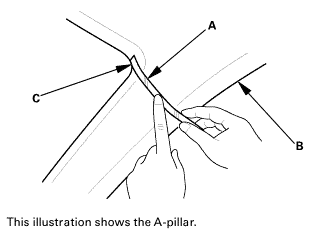 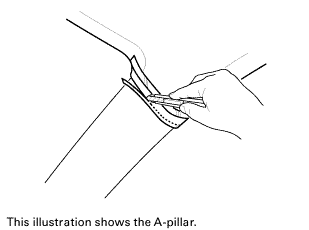 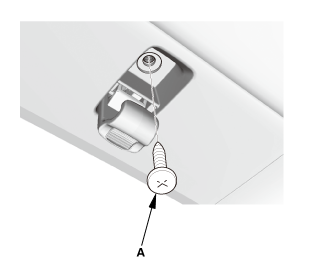 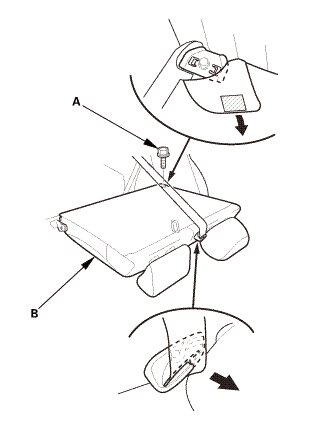 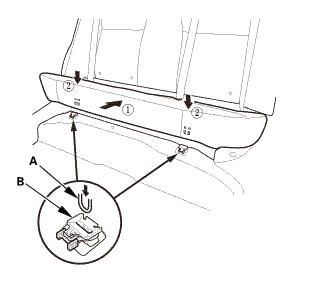 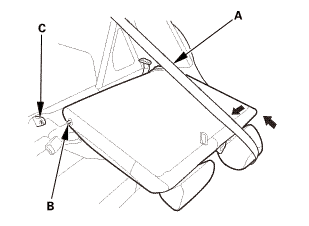 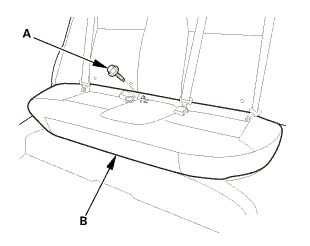 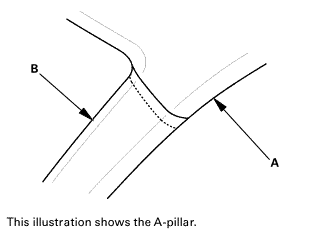 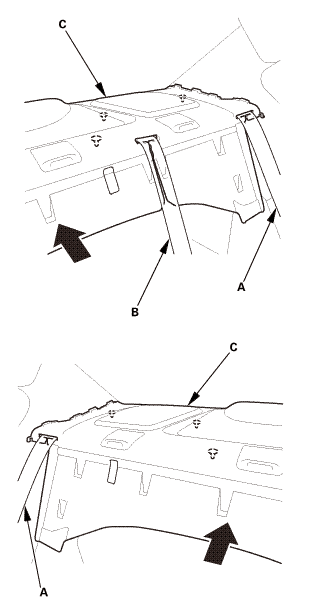 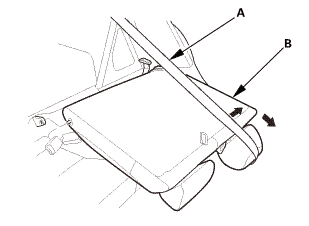 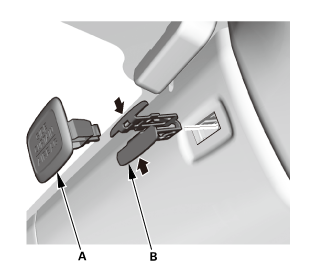 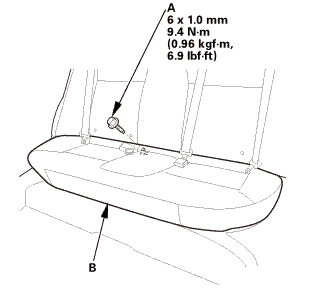 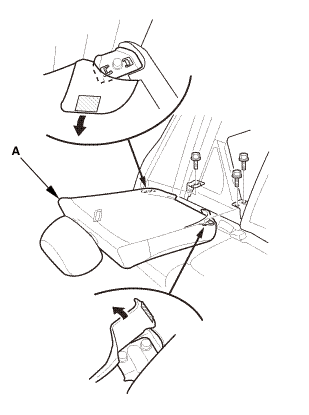 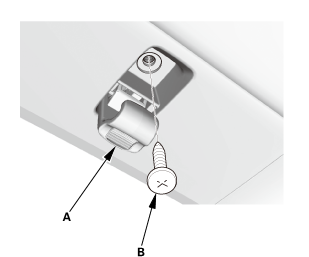 Install the lower anchor cap (B). 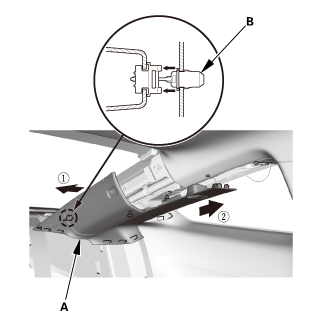 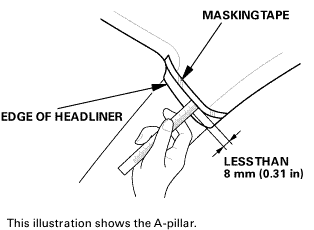 If necessary, install the bushing (A) to the center pivot bracket (B).